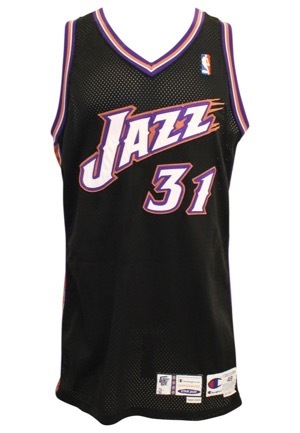 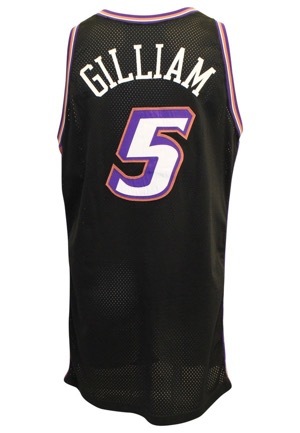 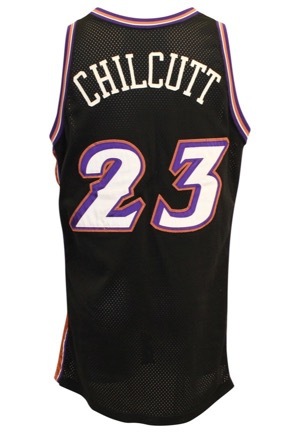 Four identical 1999-00 Utah Jazz alternate jerseys. 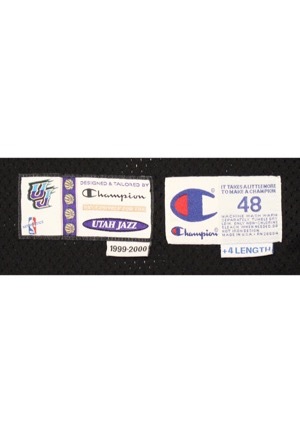 On the front left tail is the Champion manufacturer’s tags with one size “50” and three are size “48”. All four have an attached flag tag reading “+4 LENGTH”. 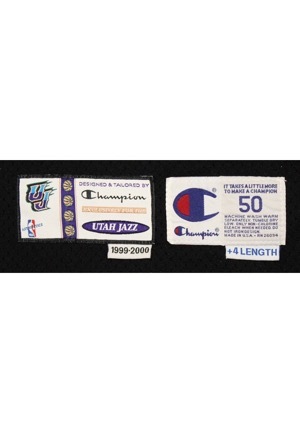 Adjacent is the “DESIGNED & TAILORED” exclusive Champion tag with an attached flag tag reading “1999-2000”. 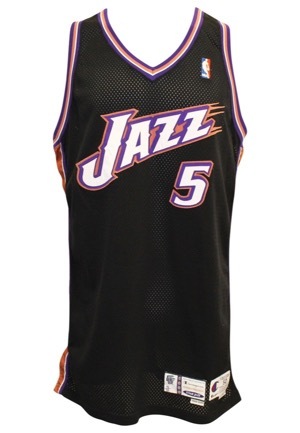 On the upper left chest is the official “NBA” logo embroidered. 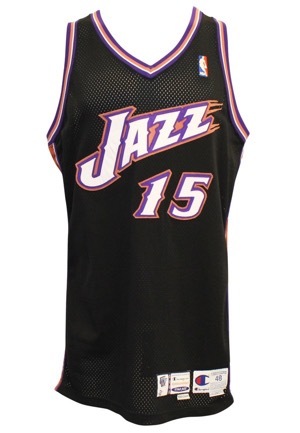 Across the chest is “JAZZ”. 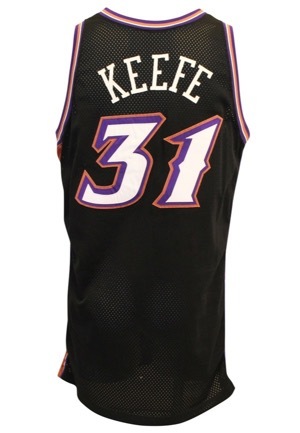 Adjacent below and on the back are the player numbers “31”, “5”, “23” and “15”. 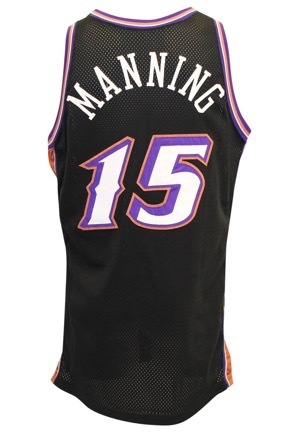 These are done in white on purple on copper tackle twill. Across the backs are the player names “MANNING”, “GILLIAM”, “CHILCUTT” and “KEEFE” in white tackle twill. 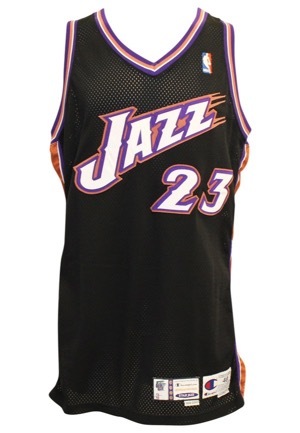 These jerseys are properly tagged, were presented to us as game-used and in our opinion show appropriate use.